That's about all I can muster after Once Upon a Time Season 7 Episode 13 which found the characters doing things at such a slow pace that I thought a curse had been cast on my TV set. Despite Lucy taking a whole hour to turn to Regina with the page from the book, they will work well together. 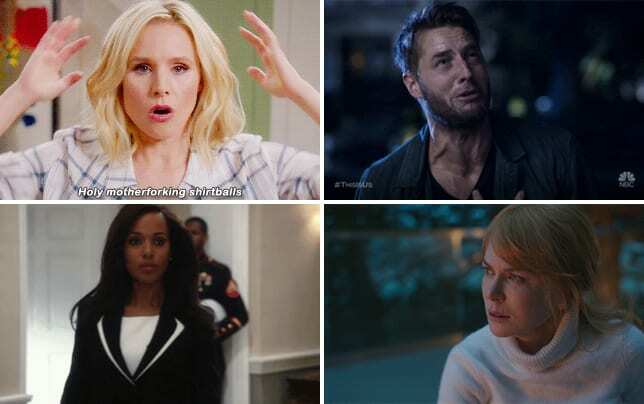 If you watch Once Upon a Time online, you will already know that Lucy has struggled to get people on board with her wild claims about what's supposed to happen and whatnot. You could tell the kid was ecstatic to have Regina aka her grandmother on her side. Related: Once Upon a Time Canceled at ABC! 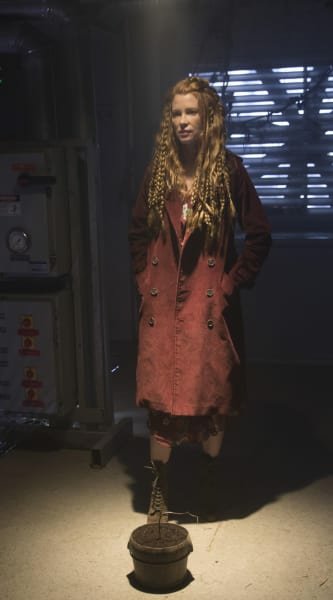 Yes, Ivy was wicked as hell at the top of Once Upon a Time Season 7, but somewhere along the way, she's emerged as one of the best new characters on the show. 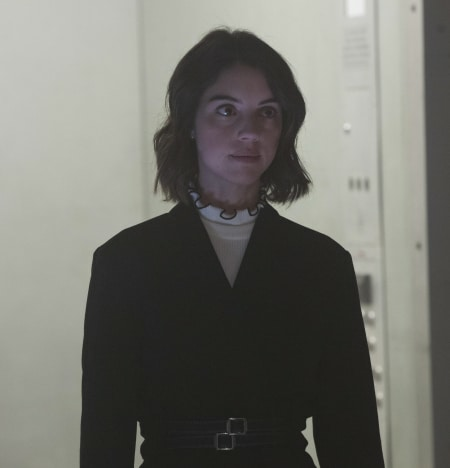 Adelaide Kane is killing it every week. It was evident Ivy was struggling to find her place in the world. That's sort of what happens when your villainous mother dies a grisly death. Henry: Well, then. Let's drink to euros. Permalink: Well, then. Let's drink to euros. I may be the most unpopular person in the world after this, but there is so much to explore between Henry and Ivy that it would not be satisfying if they did not try out a relationship. Henry was very mature about all of it when he reiterated that Ivy needed a friend to steer her in the right direction. Even if these two don't become romantically involved, it would be good to have them as allies for the foreseeable future. That said, it's difficult to get a read on Ivy. I'm not so sure finding Anastasia will result in her putting the past behind her. Related: Once Upon a Time Casts Zelena's Fiance! Ivy could be planning anything at this stage, but it was nice she took Henry's advice and turned to Jacinda. They've been at odds for so long because of the past. But it's doubtful Jacinda will be friends with Ivy when she inevitable wakes up from the curse. In the present, it seemed silly of Weaver and Rogers to trust anything Gothel said. She's one of the worst people around because of all her power. I can understand why they struggled to take what Tilly said on board because, well, she's not exactly been acting like the sanest person around. Also, she's going to find herself being pursued by the police now that she was caught with the scalpel right next to a dead body. There's no way Tilly is the killer. It was a red herring and a predictable one at that. I did laugh a little when Gothel waved at her in the police station. Weaver can't be up to anything good because we already know the curse is gone from him. If he was really playing on the side of good, wouldn't he want to tell Tilly to come off of her meds? That would make the most sense. Essentially, this rejigged version of the series is running on fumes, and the most exciting storylines are behind it. 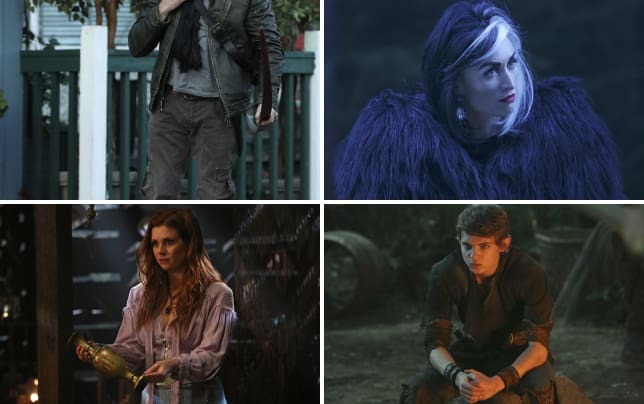 A solid plot was set up on Once Upon a Time Season 7 Episode 10 with the coven of the witches, but the show has been lacking ever since Victoria's random death. Wouldn't it be great if the curse was just magically lifted and things got interesting again? Being a fan since the beginning, it's disheartening to watch such a favorite show of mine go out like this. All told, not very much happened in "Knightfall." It was mostly set up for the final installments of the series, and that's a bad thing. 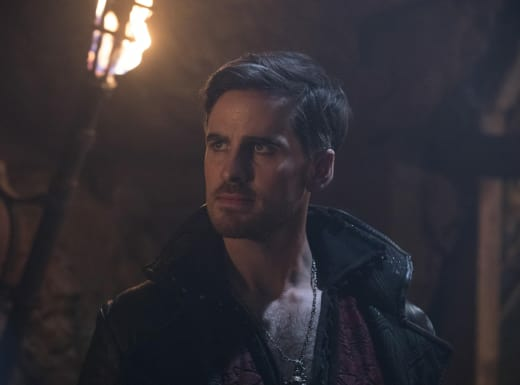 It was fun to see Wish Hook try to save his daughter in the past, but nothing else about the plot was remotely appealing. 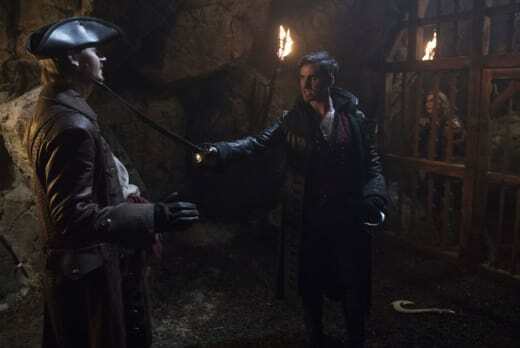 It's obvious the oil painting Alice created is going to be the thing to bring Wish Hook back to reality. Okay, Once Upon a Time Fanatics. What did you think of the episode? Are you growing tired of the characters? Should the curse be broken sooner rather than later? Once Upon a Time Season 7 Episode 14 will focus on Regina and Lucy's mission to get one step closer to a happy ending, but that will not go to plan. If you want to know which former characters are confirmed to be returning to the show, have a look below! The painting is brilliant Alice. The calm before the storm. Permalink: The painting is brilliant Alice. The calm before the storm.